The writ petition is coming up for hearing tomorrow. The Union Government has been trying to bring Lawyers into service tax net unsuccessfully. Previously, when it was introduced in 2011 and 2012, the Delhi High Court had stayed the operation of the provisions. In the Budget 2016, Finance Minister Arun Jaitley, who himself a Senior Lawyer, has reintroduced the concept of taxing the lawyers. Accordingly, Senior Lawyers are liable to pay services tax with effect from 1st April 2016. The service tax on Senior Advocates would be leviable on forward charge basis (wherein service tax is required to be paid by service provider) and/or reverse charge basis (wherein service tax is required to be paid by service recipient). According to the Delhi High Court Bar Association, the writ petitioner, the issue is already pending adjudication before Court, and therefore, the levy of service tax on Senior Lawyers introduced through Budget 2016 is a contemptuous act. The lawyers have principally sought a declaration from the court to declare the levy as null and void and ultra vires the Constitution of India and/or Section 66B of the Finance Act , 1994 and to strike down the said levy as ultra vires, arbitrary and violative of Articles 13, 14, 19(1)(g), 265, and 268A of the Constitution of India . It has been pleaded that the services of a Senior Lawyers can never be treated as ‘Service’ for the purpose of taxation as he being an officer of the Court, is part of administration of Justice. 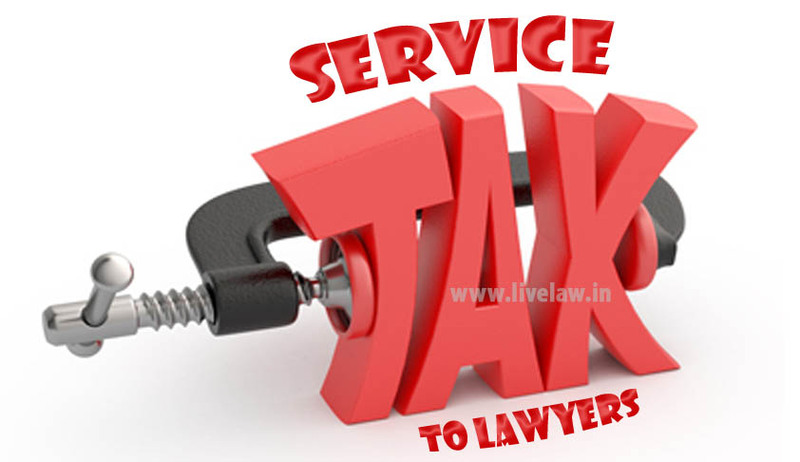 "Though the levy of Service Tax on “legal services” is per se illegal as it tantamounts to a levy of tax on the justice delivery system and subjects the litigants (business entities) to a compulsory levy of Service Tax for having chosen to seek redressal of their legal remedy guaranteed under the Constitution to every citizen of India. The lawyers being Officers of the Court, help and assist the Court in the discharge of its constitutional obligation of rendering justice to litigants in accordance with law under the Constitution, which is the fundamental duty of a welfare State. The Courts, i.e. the Judges and lawyers together, help the State to discharge its fundamental constitutional obligations to secure a free and fair and an egalitarian society without any discrimination whatsoever. The Constitution vests the judicial power of the State in Courts to secure justice to the citizens and other inhabitants and to preserve the supremacy of the Constitution and the rule of law. A compulsory exaction by the State by levy of Service Tax on lawyers destroys the fundamental concept of a welfare society governed by the rule of law. The Impugned Notifications which discontinue the levy of Service Charge by reverse charge mechanism, not only does not add revenue to the coffers of the State but, in fact, imposes a huge administrative burden on the State which it has to bear for administering the Impugned levy, leading eventually to a negative return in the collection of revenue. The Impugned Notifications, apart from being patently illegal, also suffers from the vice of total non-application of mind by the delegate – the Central Government. The Impugned Notifications are thus totally irrational and are liable to be struck down as such".